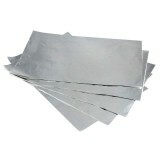 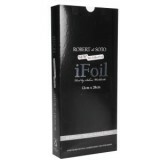 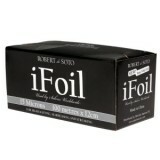 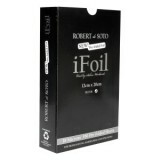 Hairdressing foil supplied in various sizes, lengths and micon thickness. 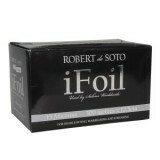 Robert de Soto 100m Silver iFoil – 15 Micron When it comes to hairdressing matters..
Robert de Soto 300m Silver iFoil – 15 Micron When it comes to hairdressing matters..
Robert de Soto Acrylic Foil Dispenser 300m Roll Specially designed to hold up to a..
Robert de Soto Heavy Duty 18 Micron Foil - 100m Extra strength, yet easy to fold. 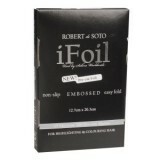 ..
Robert De Soto Pre-Cut Embossed Silver iFoil Have you ever noticed that pre-cut fo..
Robert de Soto Pre-Folded Silver iFoil-Large No longer do you have to put up with ..
Robert de Soto Pre-Folded Silver iFoil-Medium No longer do you have to put up with..
Hi Lift Foil 500 Pre Cut Folded Sheets 18 Micron Silver 18 Micron strong Heavy-duty..